FIRST, YOU SHOULD HAVE AN EXISTING OVEN that works. THE TYPE OF OVEN DEPENDS ON WHAT YOUR GOAL IS, IF YOU ARE PLANNING TO SELL YOUR BREADS ON A LARGER SCALE IN THE FUTURE, THEN YOU SHOULD BUY A COMMERCIAL OVEN. If what you have is just the ordinary household type oven, or pugon "hearth", and the cheaper fabricated steel type, no problem. Practice on this one first before jumping into the bigger models. THERE ARE MANY TYPES OF COMMERCIAL OVENS IN THE MARKET, THE PRICES AND STYLES VARY AS WELL AS THE LOAD OR HOW LARGE THE OVEN IS. WHATEVER STYLE OR TYPE OF OVEN YOU CHOOSE, MAKE SURE IT WORKS accurately before you start baking. Test your oven's heat by baking half batches of cookies or cupcakes first. Do not start with 1 kilogram of Pandesal right away. IF YOU HAVE AN EXISTING OVEN AND HAVE BEEN USING IT CONSISTENTLY, YOU DO NOT HAVE TO BUY A NEW ONE. IF YOU HAVE ONE BUT HAVE NOT BEEN USING IT FOR A LONG TIME, DO HAVE IT CHECKED AND MAKE SURE THAT THE OVEN TEMPERATURE IS ACCURATE to the last degree. As i have written on the opening page of this website, do not buy the large commercial oven and mixer just yet. Learn how to bake the breads first, buy the ebook before or after to serve as your resource/review material. I did not learn bread making in just 3 days, not in two weeks, and not even a month. NEXT, A HEAVY DUTY MIXER WITH A DOUGH HOOK SUCH AS KITCHEN AID(COMMERCIAL TYPE) OR A COMMERCIAL MIXER WHICH WOULD COST YOU AROUND P20-40 THOUSAND IS A MUST BUY. YOU WILL BE MIXING DOUGHS OF UP TO 1 KILOGRAM IN SOME OF THE LESSONS, BUT IF YOU PLAN TO KNEAD THE DOUGH MANUALLY, ALL YOU DO IS REDUCE THE BATCH TO HALF A KILO OR 300 GRAMS. ONCE YOU HAVE AN OVEN AND A MIXER, YOU CAN start baking. Hmmm. But wait, you need to purchase some other stuff that you probably do not have yet if you are a beginning baker. *baking sheets - i bought about 24 at first, then increased the number to about 70 pcs. Half of these i brought with me to New York which was the right decision considering the ovens here are large enough to fit them in. Read the ebook from beginning to end even if you have no plans of baking the rest of the recipes. Each recipe has its own technique you will find useful in the end. Buy your ingredients and store them labeling the containers at the same time. Remember, your ingredients may be just like any other common household box of sugar and table salt, but they are crucial to creating that perfectly balanced batch of rolls. Ingredients are pretty much the most basic, *each ingredient will be discussed extensively in class and you can find them also in the eBook. ***salt when added to your yeast mixture will do what??? ***why can't you substitute shortening with butter on a 1:1 ratio? *** what is the difference between margarine and butter? ***which is better, rock salt or iodized salt? ***are all bread flours the same? what is 12% bread flour and what difference does it make? ***i want to use natural sugars in the bread, what do i use? ***what do you mean when you say the sugar and water competes during mixing? ***what is the effect of too much sugar in the dough? ***aside from sweetening the bread, what else does sugar and salt does? ***is it true that i can make bread without sugar but not without salt? ***why is the butter and salt sometimes added at the last stage of mixing? Our teacher told this to us but he never explained it? ***what happens if i left the salt out? ***what do i do if i use salted butter in the formula? ***what happens if i use too much salt in the dough? Notice how i mostly centered on sugar and salt and the questions do not end here. There is more to that grain of salt you add on your recipe. Did you know that most bakers who learned it the "wido" old style way will tell you that the best way to find out if you did not forget the salt is to taste it? Yup, the bakers in Purefood's where i once worked told me to make sure i get a piece and taste it just in case i forgot something. Funny right? Simply click the Paypal button to purchase the ebook and have fun baking your favorite breads. 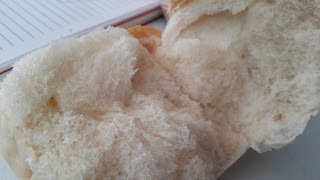 I myself have a share of my own baking book collections dating back 1987 or so and i ended up enrolling in a two year Food Service course just to learn how to really perfect my Pandesal. Or so i thought. It did not really turn out the way i thought it would, so i insisted on taking my apprenticeship in Purefood's Flour and Bakery Division. Now that was the real deal of the century. Worth everything i spent in school. This ebook is a personal journey of how i learned how to make breads which i am sharing with you. I hope you enjoy reading and learning from it. A method of dough mixing that enables one to mix and bake breads in under 4 hours. 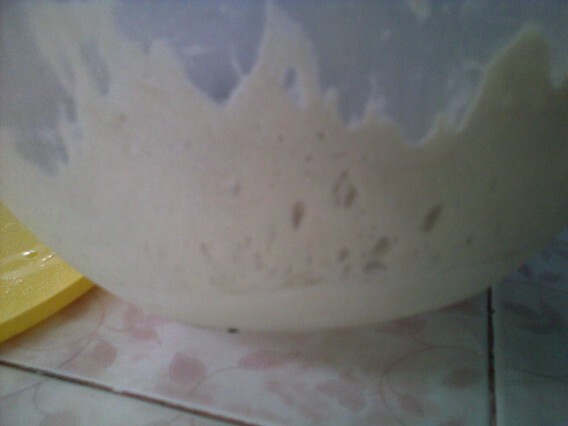 After mixing , the dough is made-up into different varieties and then sent to the proofer. No intermediate or secondary proofing necessary. What are the advantages and disadvantages of using this method? A method that requires two to three proofing stages and with the use of a sponge can create breads with excellent flavor, keeping quality and high volume products. This method can reduce proofing and mixing times,greatly increasing the production not to mention improve the quality of your breads. The book will show you how to use this method to create baguettes and many other specialty breads. Pastries, food, Me and earth. 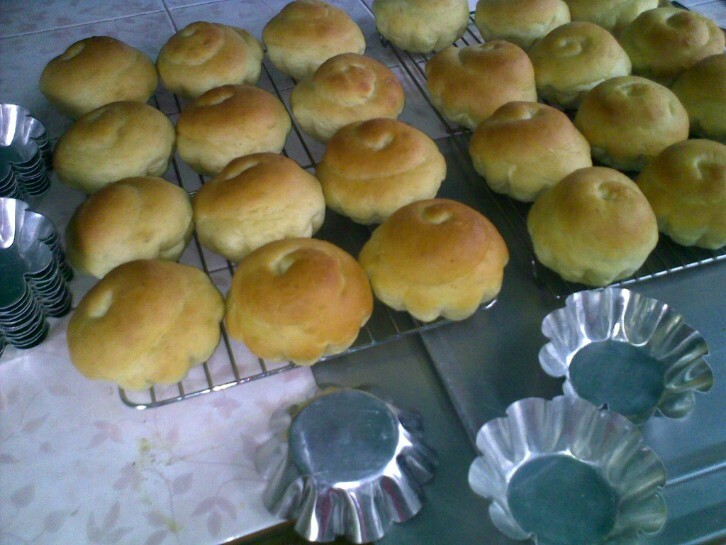 Soft buns are one of the best sellers when you have a bakery. 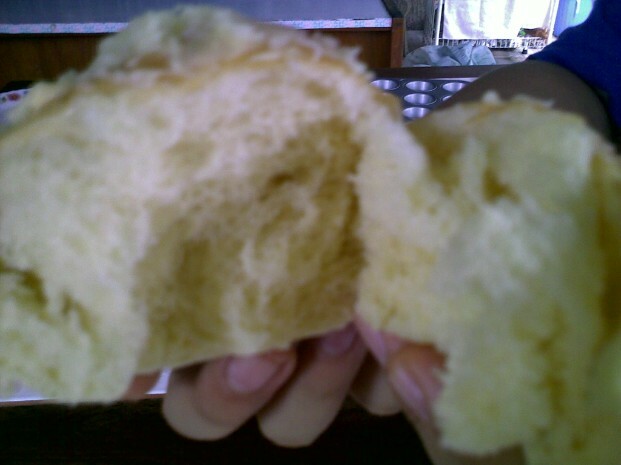 I remember this bun or bread used way back when i was a child as a container for dirty ice cream in Baler. The soft bun is perfect for burgers and ham/cheese, tuna salad, chicken salad, and many other sweet and savory fillings.